EmbroideryDesigns.com can send your designs in one of two ways. You can choose to have them sent directly to your computer via Download or they can be sent to you via Email as an attachment. Our designs are for machine embroidery and are available in the most popular commercial and home formats. You select the formats that you need. Multiple formats of each design may be received at no extra charge. Also, if you misplace a design file, you can re-download designs that you have purchased at any time for free! SHARING DESIGNS IS ILLEGAL. How do I get a downloaded file into my embroidery machine? We will assist in any way possible if you have trouble receiving designs from EmbroideryDesigns.com via download or email. However, if technical support is needed with getting the design into your embroidery machine, we recommend that you call your machine or software dealer or refer to your instruction manual. Since there are dozens of machine models and software brands, each with their own way of handling a design file, it would be difficult for us to provide qualified technical assistance for everyone. To receive designs that you have just purchased, you must first complete the Ordering Process. The Download page will open once you Checkout and click on Download button. To download an individual design simply click the blue download arrow to the right of the desired design within the column of the format you need. For example if you need DST format then you click the download arrow beneath the DST heading in the same row of the desired design. EmbroideryDesigns.com keeps a history of your purchases and receipts so that you can re-download your designs in any of the available formats without being charged again! The designs can be downloaded as long as they are still available from the supplier. This is a great feature if you ever lose a design or get disconnected from the Internet before receiving your design. Just click on Order History on the My Account menu. To "zip and download" or "zip and email" all of the designs available in your selected format simply click the at the top and/or bottom of the table in the column of the corresponding format that you need the designs in. Downloading a zip file will include the color charts. If there are multiple pages of downloads you will need to do this for each page. We recommend that you print out and work from the design Color Charts found on EmbroideryDesigns.com. They are available on the Download page and list the size, stitch count, color sequence and suggested thread colors. Find the design on the Download page for a new order or through Order History in your Account Profile for past orders. To the right of each image/design there is a text link for color chart and the download link. You can either click the link to view and print the color chart or download the file and save it to your computer. Please Note: Print out and use the color charts provided by EmbroideryDesigns.com, and not the sheets from your software. The colors will be represented correctly on the EmbroideryDesigns.com color charts, and may not be from your software´s color palette. 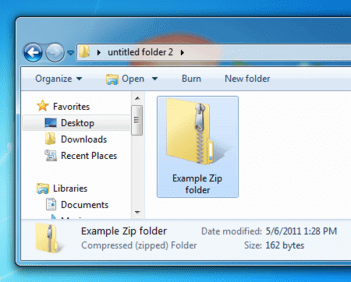 Step 2: Double-click the ".zip" file. This will allow you to open the zipped folder and access the files so that you can copy the files that you need and paste them to an unzipped folder or you can drag and drop the files into your designs folder. EmbroideryDesigns.com stock designs are available in a variety of different formats, shown below with the corresponding embroidery machine. Formats are identifiable by the 3-letter extension on the file name. Please Note: Not all designs are available in all formats. Need to convert design files to a different machine format? For complete information and free demo versions on several software packages that will convert your files into the format you need, go to the freeEmbroiderystuff.com Software section. How do I receive the embroidery designs that I purchase? Designs are immediately available via instant download where the embroidery file is transferred directly to your computer´s hard drive or as an attachment to an email message. You can choose the method you prefer after you Check Out. At the time of check-out, you can also choose to add the purchase of a CD or USB drive of the designs to your order that will be delivered by U.S.P.S. Whether or not you purchase delivery of a CD or USB drive of the order, you will continue to have access to the Free Download that is always available and stored in your Order History. What formats are available on EmbroideryDesigns.com? The embroidery designs found on EmbroideryDesigns.com are for machine embroidery. They have been digitized and are available in a variety of formats. To check that the format you need is available, click on the picture of the design you are interested in purchasing. All available embroidery formats for a design can be received at no extra charge. If the format is not listed on the product page, it will not be available in your download, but you can then either use the online conversion tool or contact customer service and we will email the file to you in the format that you need. What if I lose a design and have to download it again? A history of all of the designs that you purchase are stored in your account and re-downloaded free of charge at any time! To view your order history, click on the My Account link on the top right corner of the page and then on Order History link in the personal info section. Your orders will be listed by date. Will I be charged extra if I need to re-download a design? No. As long as you don´t add the design to your shopping cart and check out again, you won´t be charged for the same design twice. Re-downloading a design may be done free of charge. To do this, follow the following steps. Click on My Account account link on the top right corner of the page. This will take you to your Account page. Then click on Order History link. Here you will see all your previous orders. Select the order you wish to re-download the designs for. On the order details page, click on the Download link to download the designs for the order. How long will designs stay in my Order History? Records of orders remain in your order history as long as your account with EmbroideryDesigns.com is active. The designs you purchase are available for re-download as long as the design is still available from the supplier. What do I do if I get an error message or my pc freezes when downloading a design file? If your pc freezes during the downloading process, it could be because you selected the Open option instead of the Save option in the File Download window. (Always Choose Save) When you select Open, your system will try to open the file using the program that it thinks is the one meant for the file being downloaded. If your system has an incorrect File Association, you may experience a freeze or receive an error message. See How to Set a File Association. What is a File Association? A file association is when your computer recognizes a file extension and automatically tries to run a certain program to open that file. If the embroidery format you´re trying to download has been associated with the wrong program, you will not be prompted to Save to Disk , but instead your system will freeze. You will need to remove the file association before you can download. Can I re-size designs from EmbroideryDesigns.com? * Many software programs are able to read and write the CND format, but each one interprets the CND file differently. This carries the potential to cause problems with your system. * The CND format is not "backwards compatible." Many older systems cannot read a newer version of a CND file, and vice versa. EMB - Wilcom - The EMB format is used exclusively by Wilcom. Edit designs this format with the Wilcom TrueSizer software. With the True Sizer, you can open an EMB file, re-size and save it in the format used by your embroidery machine. Please note: These formats are outline files and can be re-sized with the right software. However, remember there are limitations and scaling a design can be very tricky. For the best results, a design should be stitched in its original size. Why does the design in my Order History say “Discontinued” and how can I download it again? Sometimes we have to discontinue selling a design or other product for various reasons. If you have purchased a design which is now discontinued, you will not be able to download it directly from the site but you can contact us and we will send you that design. How do I know what format I need? The format you need depends on the machine you use. We will ask you about your machine when you place the order and suggest the compatible formats for your machine. You can also click on Question Mark icon next to the formats on the design page. This will then open a dialog which will suggest the compatible format for your machines. Alternatively you can always call us and we will help you decide on the best format. How do I open the design to see what it is once I download it to my computer? You will need to have embroidery software on your computer to open designs that you have downloaded. Depending on the software you have, you can open and view the design and related information. How to transfer a design to a USB flash drive? To transfer your downloaded designs to a USB, follow the steps below. Open the drive by going to My Computer (for Windows) and finder (in Mac). Locate the designs you want to transfer over to USB and COPY them. Go to your USB drive and PASTE the designs. Alternatively you can order your designs on a USB drive and we will ship your entire order on a USB. I did not get all of my designs - Where are they? There are several possibilities as to why you didn't receive all of your designs. 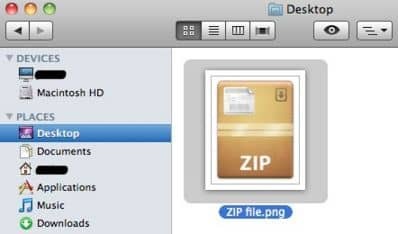 If you clicked on the zip icon and downloaded (or emailed the files to yourself) it is possible that one or more of the designs were not available in the format you selected. Please look to see if the blue download arrow is there for the missing design in your format. If not you can use the Change Format tool to convert the design to your format. If that still does not work please contact us for assistance. Downloads page displays 16 products at a time per page. To see the other products, click on page 2 and onwards or increase the page size from 16 to 40. When checking out your order, you will be asked to choose whether you wish to purchase a CD or USB drive of your order or receive the designs by Free Download only. If you choose to purchase either a CD or USB drive of your order, there will be a creation and shipping charge added to the total cost. If you choose to have your designs delivered on CD or USB drive, you must do so at the time you are asked when checking out your order. If you choose only the Free Download and later decide that you also want the designs delivered on CD or USB drive, you can call Customer Service within 30 days after the order is purchased with your request. If you wish to include a previous order of designs on a new order for a CD or USB drive, you can make the request when checking out the new order. Type the request, “Include Order #number on "CD" or "USB" in the box for "Special Instructions". You will find the "Special Instructions" box on the last page of check-out, prior to clicking on "Submit Order". We can only include one previous order. Requests to include more than one additional order, such as the entire Order History, cannot be accepted. Note: If you order a USB drive, which has a capacity of 257 MB, the amount of designs will determine whether a previous order can be included. USB drives are not preformatted for any specific machine model and although some machines may read from the USB drive, others will not, so they should be considered as storage devices only.